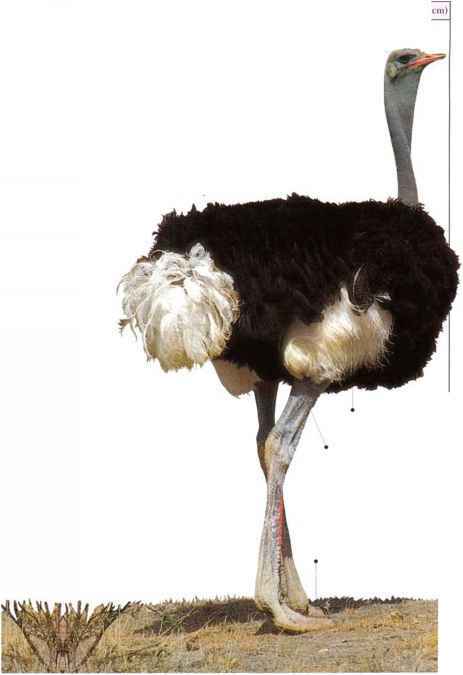 I lie world's largest and tallest bird speeies, the Ostrich stands at an average height of 8 ft 2 in (2.5 111). It is flightless, with drooping, loose-textured feathers on its wings and tail. I -arge, strong legs enable it to walk about with easy strides and to run fast, with a top speed of some 40 mph (64 km/h). The Ostrich inhabits open landscapes such as desert, semi-desert, and grassland, living by its keen sight and its ability to cover long distances to reach safety or a food supply. It feeds on the leaves, stems, flowers, and seeds of plants, plucked with its blunt-tipped and proportionally small bill. Breeding males are seen squatting in their sexual display posture, waving their wings and necks. A male that has successfully defended his territory pairs with a female, which lays her eggs in a shallow nest. The male Ostrich may also mate with as many as five subordinate females, which add their eggs to the clutch. As many as 40 eggs may accumulate, hilt the dominant female pushes out all hut 20, which include her own. She incubates these with the help of the male. The downy young are tended by both parents, j» sometimes later merging with other broods. • NEST A hollow, some 9 ft 10 in (3 m) across, scraped with the feet and formed by body pressure in sandy soil. Distribution Africa from Senegal to Ethiopia and south to Tanzania; population in southern Africa. Ostrich is farmed in southern Africa for its wing and tail plumes. 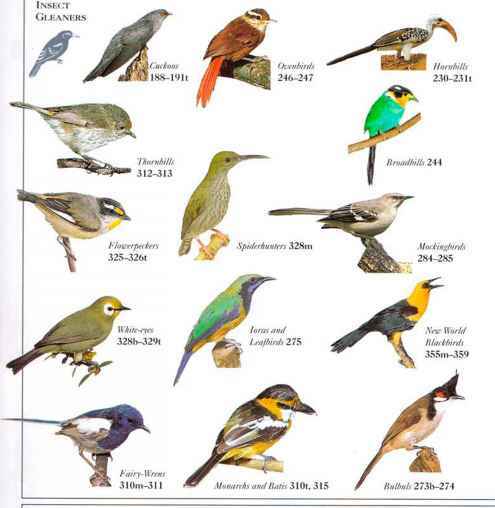 The former wild population in the Arabian Peninsula is now extinct.